Vacuity, dir. Michael Matzur. Montana State University, 2013. Starring Michael Steppe. 14 minutes. Vacuity is a beautifully-made short SF film that functions both as a thoughtful character study and as a suspenseful thriller. Shot on a very minimal set, with a single camera and a nonexistent budget, Vacuity nevertheless manages to pack more story into its 14 minutes than many films ten times its length. Alan Brahm (Michael Steppe) works as an engineer on the XOEH space station. As the story begins, he awakens in an airlock where he had been preparing for an EVA. His computer terminal displays error messages: hydraulics, pneumatics, airlock systems. 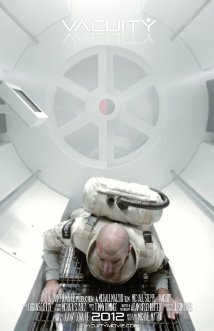 Alan soon discovers that the station has suffered catastrophic damage, his teammates are dead or unaccounted for, his suit is damaged, and he is trapped in the airlock—with the computer stuck in its decompression sequence. Shlok Vaidya, The Rise of Siri. Self published, 2012. Pp. 115. $2.99. 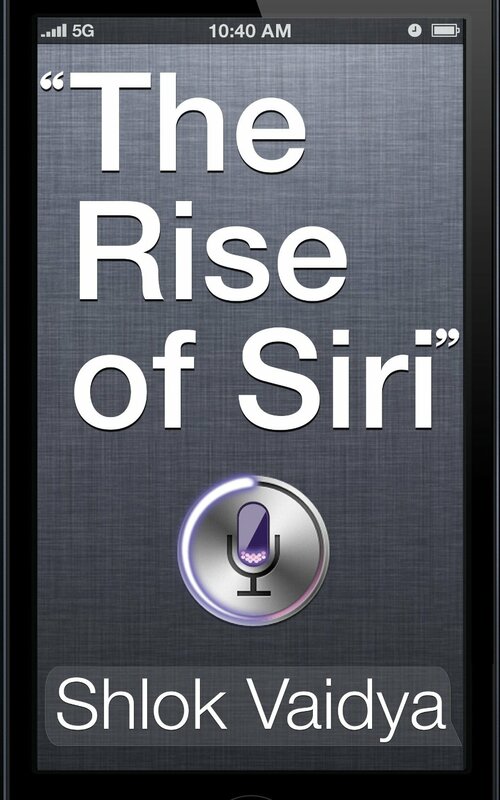 The Rise of Siri is a technology-centred dystopia based in the near future. In this self-published novel, China shuts itself off from the rest of the world, essentially withdrawing from international trade and assuming ownership of all assets within its borders; people included. The story focuses wholly on Apple Inc. and how as a company it contends this international development in subsequent months. While the book is set in the speculative future, the main characters are real-life developers, executives and designers. Anyone familiar with Apple as a company might also be aware of Jony Ive, Tim Cook and Scott Forstall—all of whom feature in the novel. In many ways, it almost makes the story a piece of fan-fiction. The characters are given a huge amount of textual respect and are often spoken of in frothily glowing terms. Josie Brown (ed. ), Daughters of Icarus: New feminist science fiction and fantasy. Pink Narcissus Press, 2013. Pp. 372. ISBN 978-1-939056-00-9. $17.00. 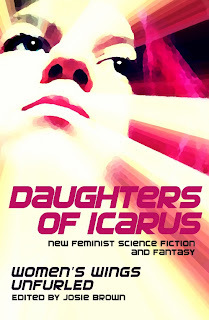 The Daughters of Icarus anthology, published by the inclusive and experimental small press Pink Narcissus, and edited by American writer and scholar of political theory Josie Brown, labels itself, “New feminist science fiction and fantasy”. The cover (but not the title page) also carries the line, “Women’s Wings Unfurled”, an unofficial subtitle highlighting the editor’s intention that the stories explore the common tropes and adventures of science fiction if women take the initiative in them. While there are indeed some excellent examples of this kind of fiction, the anthology as a whole is a disappointingly mixed bag, including some poorer quality pieces, some that fail on various important levels (notably issues of intersectionality), and some frankly baffling inclusions. Measured as a venue for science fiction and fantasy, Daughters of Icarus contains enough magic to warrant classing it as one of the better examples of this kind of beast; as a coherent whole on the terms it seems to define for itself, it is somewhat less satisfying.